Have you ever played the lottery? Did you win? Many are the ones who often buy lottery tickets, play betting games, bets or draws. Always buying tickets and almost never getting prizes. But always fattening the organizer's eagerness to collect, whether it's the state, the betting house or the neighborhood grocer with his Christmas basket. 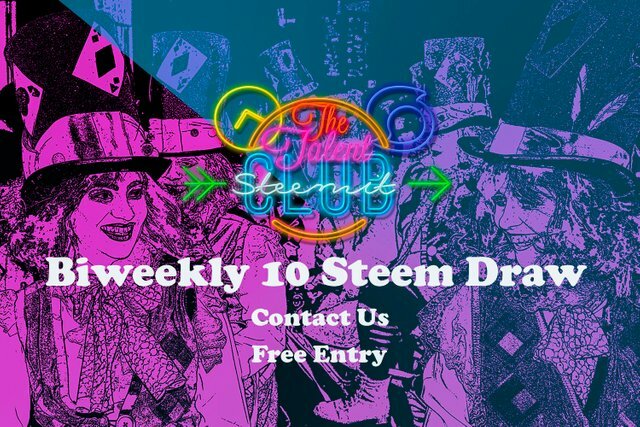 In @talentclub are being distributed 10 Steem every 15 days to a single winner , using a App random raffle and indefinitely. In the previous draw @yomismosoy was the lucky one... Congratulations! Do we have to buy a ticket? No! Participation is completely free . Just go to our Discord server and sign up. On March 15 there will be a draw . The winner will be mentioned and captures will be shown. If you don't win this time... do not worry, we will have a new draw every fortnight! Just like that! All you have to do is log in to the club server and sign up, cross your fingers and... Who knows, you could be the next winner. Don't you know The Talenclub? We are a group of people who join forces to give value to the quality content we generate on the platform. If you want to join just read the rules and submit your application for membership in the corresponding channels of our server. Delegations are from only 1 Sp!